Well, it’s January 3rd. I suppose I’m finally willing to admit that the holidays are over. 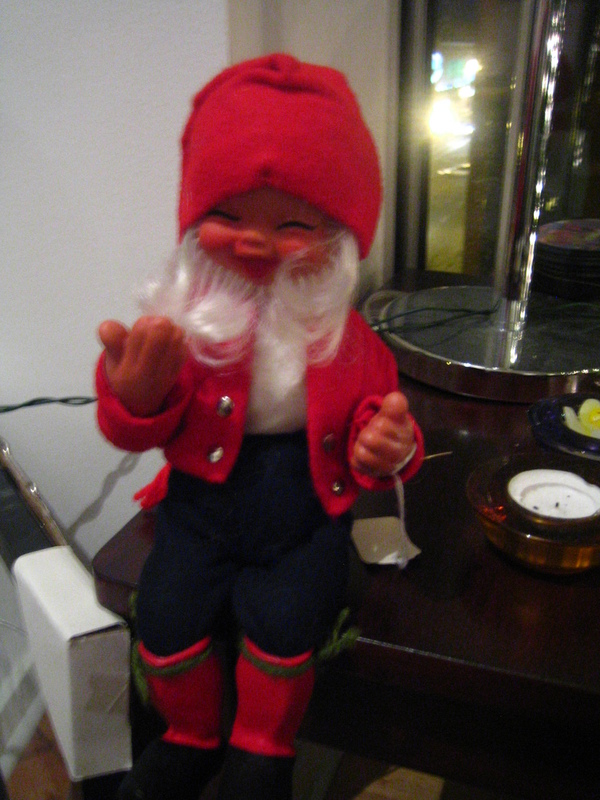 Don’t laugh at him, he’s a Scandinavian Christmas elf (called a Jul Nisse) and he’s cute and helpful. And he loves you. As much as I hate to see Christmas and New Years flash by and leave me sneezing in their dust, it’s time. 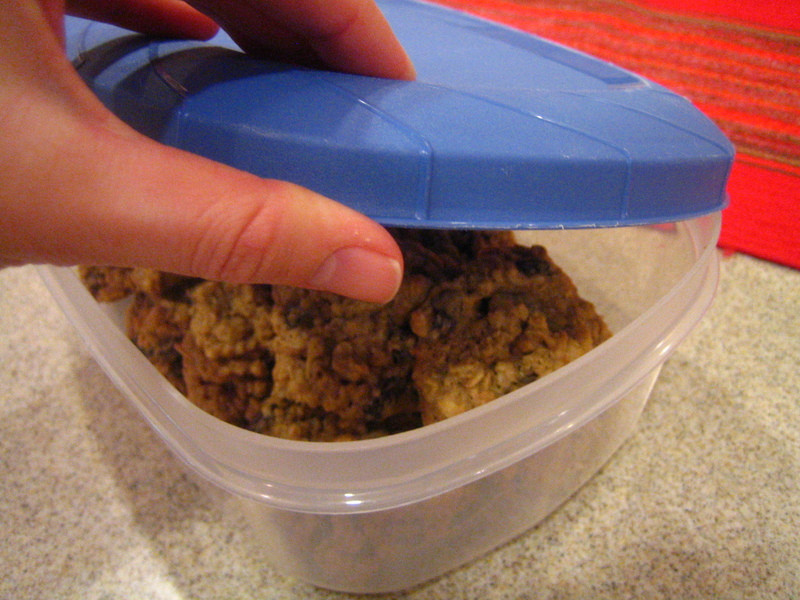 I need to put the cookies in their tupperware and leave them there for a while. I may have packed on a few pounds of fun chub, but my pants are still [currently] buttoning, so no real damage done there. The real issue is that I need to start getting more vegetables and fruits and all those good things back in my diet so that my energy levels stop dropping under the “oh, I’ll just stay right here on the couch until someone miraculously decides to brew me some coffee” threshold. I mean, I didn’t just hit snooze this morning, I re-set my alarm completely. Still made it to work on time, though, so I consider the morning to be a success. The best way to cure a holiday hangover? Make a delicious, home cooked meal. Preferably with aforementioned vegetables and/or fruit. I had the best intentions of going to the grocery store after work today, but I decided it was wisest to ease myself back into my work week. So I decided to brave the sad remnants of my fridge and pantry to rustle myself up some grub. Boil a pot of water and add pasta. 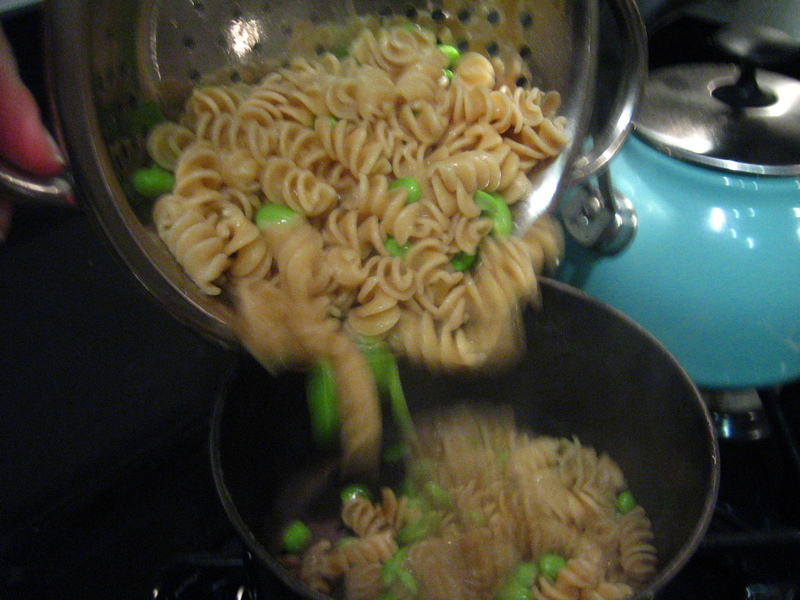 Cook to package directions, adding edamame to pot about 2 minutes before the pasta is done. Drain and return to pot. 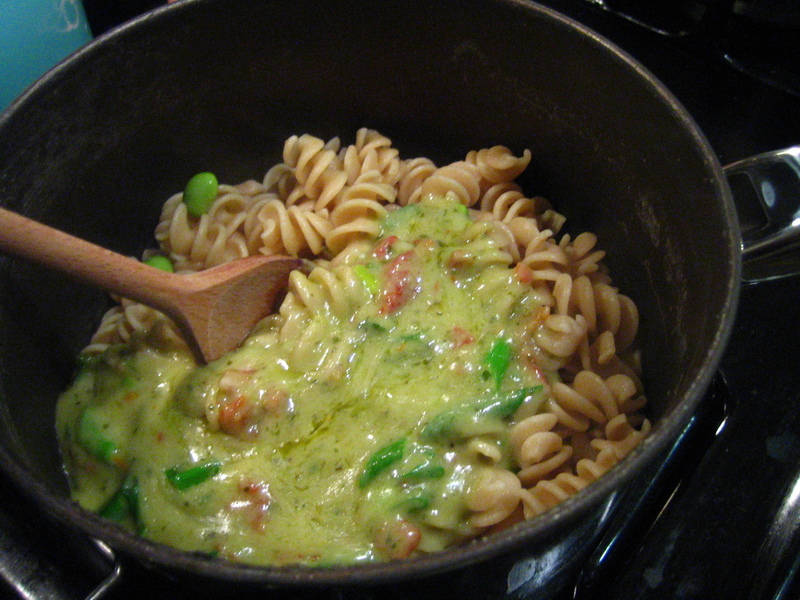 While the pasta cooks, make a roux by melting butter in a skillet and whisking in flour until a paste forms. Slowly whisk in the broth (you could use milk or veggie broth, too, but I had chicken broth on hand) until all flour lumps are dissolved. The sauce is essentially a thick gravy at this point. Add cheese and allow to melt. 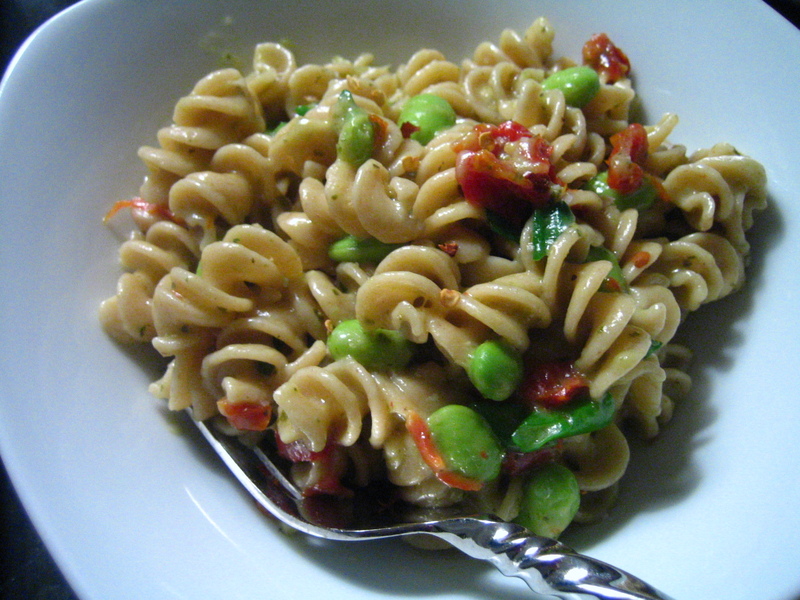 Add pesto, sundried tomatoes and scallions. 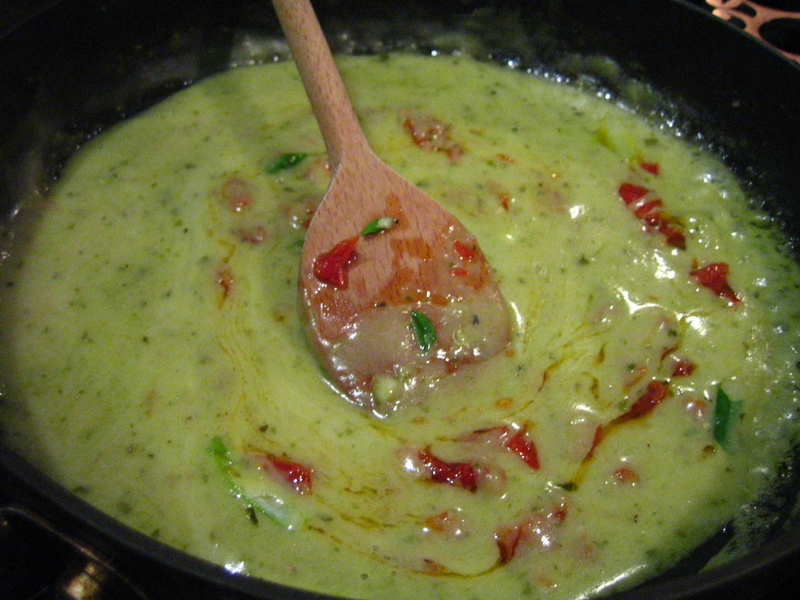 Pour the sauce into the pasta and mix to incorporate. You could absolutely add any veggies you like to beef up the nutritional content- wilted spinach or broccoli would be great. But I used what I had and I was pretty impressed that I whipped this up after I claimed that I had NOTHING to eat in the house. And it’s certainly making my Monday hangover disappear. Look Ma, all better! 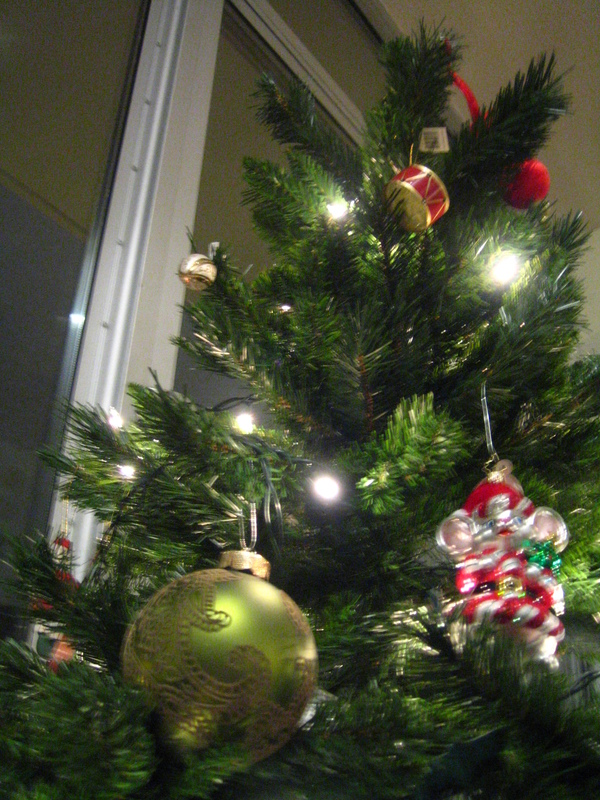 yeah, my tree is fake as well and is NOT coming down any time soon! ha ha… your idea of nothing in the house and mine are two different things for sure. 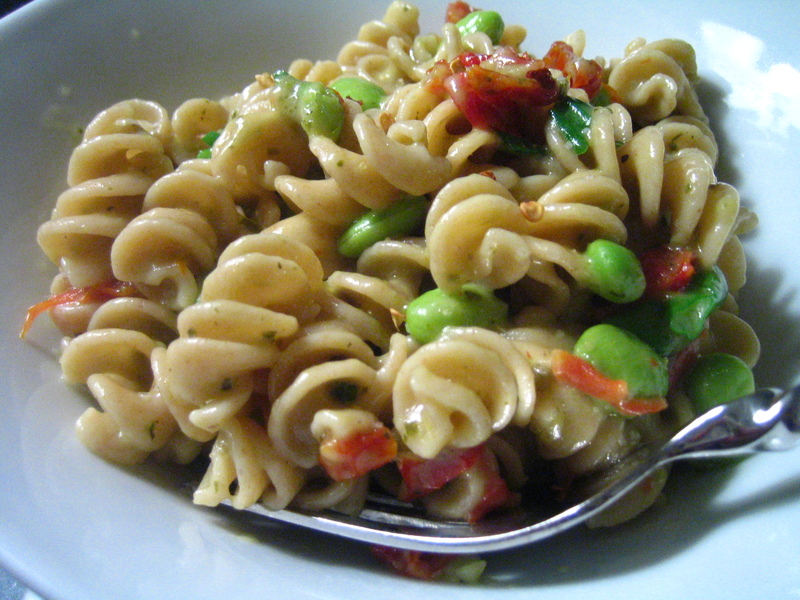 The pasta looks amazing! I hope you saved your list for tomorrow. Making a one that’s a page long must have taken up some quality time. Oh and I’m not laughing at your elf, but am a little creeped out. Remind me not to visit again until after your Christmas decorations are put away. That is all. I have so done the re-set alarm thing. That’s when you know you have a problem. cheese + pasta? yes please.